If you are reading this then it is likely that you are feeling fatigued and you feel that you need to boost your energy levels. You may be struggling to get going of a morning or maybe you are feeling so exhausted by the time you get home from work that you cannot physically get anything else done. I often find it very hard to motivate myself to go for a run, do my writing or the necessary household chores after work. I think these feelings are typical and generally not serious but there are a number of other reasons why you might be feeling fatigued. Celiac disease: this is a relatively common illness caused by a gluten intolerance. Research suggests as many as 90% of sufferers are unaware of their condition. The disease is characterized by excessive tiredness, weight loss and anemia. Anemia: anemia caused by an iron deficiency is a very common reason for fatigue. Sleep Apnea: This common sleeping condition caused by a narrowing of the throat can affect the quality of your sleep resulting in daytime fatigue. Thyroid problems: If your thyroid gland is underactive you may feel consistently tired and prone to weight gain. Chronic fatigue syndrome: This is a severe form of exhaustion that continues for 6 months or more. Diabetes: One of the major symptoms of diabetes is a severe lack of energy. Depression: Apart from the extreme feelings of sadness, depression often leaves you with a lack of energy. It may also cause you to sleep poorly, leaving you to feel even more drained during the day. Anxiety: While some temporary feelings of anxiety are a normal part of life, for some people the condition is so serious that their lifestyles are damaged badly. People suffering from anxiety are often left feeling extremely tired. If you feel that your lack of energy is outside the normal range and you are concerned that there may be an underlying cause like the ones discussed above, then you should seek medical advice as soon as possible. However, for many people tiredness and lack of energy is simply a normal part of life. You may be overworked and anybody with young children will be familiar with the sleep disruption the little beauties bring into the world with them. You can look to improve your energy by trying to get a good night of sleep, avoiding alcohol and working on a healthy diet; exercise can also help you feel more energetic and sleep more peacefully. There may also be another natural and healthy solution to your lack of energy. 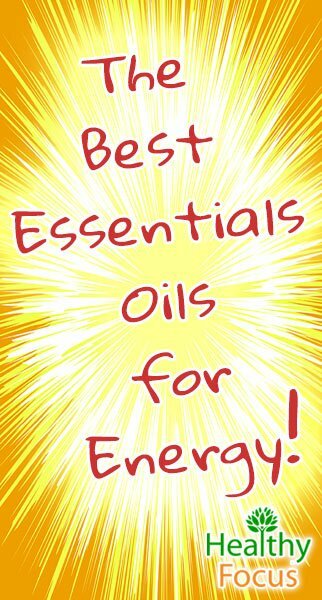 People familiar with essential oils are likely to know that there is an oil for nearly every ill, so it will come as no surprise that certain of these essential oils can help boost your energy levels and improve your overall health and productivity. There are many essential oils that can help boost your energy and some are well-known for their ability to aid sleep and combat anxiety. I just love the zesty scent of the citrus oils and lemon essential oil is one of my personal favorites. If you are feeling short of the energy needed to focus on your work or studies, diffusing lemon oil in your office or throughout the day at home can put a big spring into your step. If you would like to make your own aromatic blend, lemon mixes extremely well with rosemary and basil. A word of caution; some citrus oils are known to cause damage to some models of diffuser so it is important to check your manufacturer’s instructions. Orange essential oil is yet another of the citrus family that can give you the energy to overcome feelings of sluggishness and fatigue. By diffusing orange essential oil in your home and office, you may well find mood uplifted and be more equipped to get on with whatever it is that you need to do, be that studying, work or exercise. Peppermint essential oil is one of the most diverse of all the essential oils and can be used for a variety of complaints ranging from digestive issues and headaches to oral health. It also has a powerful and uplifting scent that will get you straight off the couch and into your work. I add a few drops peppermint oil to my shaving foam and it puts me in the right mood for the day. Spearmint essential oil is a similar alternative that also has uplifting properties. Like its cousins in the citrus family of oils, grapefruit is a wonderful energizing tonic. It may also encourage the efficient release of fatty acid into the bloodstream before they are broken down to produce energy. It is also possible that the use of grapefruit oil can suppress appetite helping you to control the excess weight that may be contributing to your energy deficiency. Ginger essential oil has a powerful invigorating scent and is a powerful medicinal oil that can be used for a range of conditions. Ginger essential oil is an excellent remedy for inflammatory conditions like arthritis and makes a great addition to a muscle rub when your legs are aching and fatigued. Cinnamon essential oil can be diluted in a base oil such as coconut or sweet almond to make a soothing and reinvigorating massage rub. It can help heal aching muscles, reduce joint inflammation and help you fight off infections that may be the cause of your feeling run down. The essential oil of basil is an excellent choice if you are feeling run down and lacking sufficient energy to get into your stride. This oil can promote healthy blood flow and circulation as well as stimulating the adrenal glands which help clear the mind and relieve emotional fatigue. As well as its many other therapeutic uses, lavender essential oil has a well-deserved and understood reputation for dealing with emotional issues like stress and anxiety. It is also a great choice for depression and is recommended to deal with sleep issues like insomnia or sleep apnea. To sum it up, this wonderful and gentle oil can help deal with the emotional issues that are causing your fatigue while making sure you get a properly rested night of sleep in preparation for the next day’s duties. Frankincense essential oil is very well known for its many therapeutic abilities ranging from boosting the immunity system to its cosmetic uses. It is possessed of a great many therapeutic properties and has a wonderful earthy aroma. Many people swear by its ability to elevate low levels of energy and often combine it with other energy boosting oils to give them the necessary kick start. It is also known as an excellent remedy for stress and anxiety. Frankincense can help you get a proper night of sleep. It goes without saying that feeling calm and properly rested will contribute towards daytime energy levels. Frankincense oil blends especially well with lavender and the energizing citrus oils like lime and orange. Rosemary essential oil has general tonic properties and acts as an excellent stimulant to help you overcome low levels of energy and mental fatigue. It is also an excellent choice for those suffering from stress and nervous exhaustion which may well be contributing to your general lethargy. As long as you dilute it adequately, it makes a great topical treatments and you can safely inhale or diffuse it around the house. Eucalyptus essential oil is typically used to treat respiratory issues like asthma, sinus issues, stuffy nose and skin disorders but it can also give you a great shot of energy when you need it most. It has a refreshing scent and the ability to stimulate the brain and improve your energy levels and focus. Make sure that you dilute it before applying it topically and you should never take this oil orally. Bergamot essential oil has a delightful aroma and is often used to treat emotional issues like stress or depression which are so often the cause of fatigue. Inhaling or massaging this wonderful uplifting essential oil should have you back on your feet and fit for the day in no time. Bergamot oil can also help you to overcome sleep conditions like insomnia especially when your insomnia is caused by anxiety. Diffuse your bergamot oil throughout the night and you will sleep better and feel considerably more active the following day. If you are going to apply bergamot essential oil topically, you need to consider that it is photo-sensitizing and you should avoid exposure to direct sunlight for at least 12 hours after applying it. You can make some great energizing recipes by combining several of these essential oils into a power packed blend. If you feel like you need an energizing boost, why not try some of these wonderful recipes. This is a simple recipe using just 2 essential oils. Combine 4 drops of peppermint or spearmint essential oil with 4 drops of orange essential oil and diffuse it around the home. You can also dilute these oils with a quality base oil and use it as an energizing massage oil. Diffuse 2 drops each of peppermint, grapefruit and frankincense essential oil to give you the boost your body needs. This is a wonderful stimulating blend that you can diffuse in your home or office throughout the day. Combine 8 drops of grapefruit essential oil, 4 drops of lavender, 4 drops of lemon and 2 drops of basil essential oil. How should you use these oils to boost your energy? There are several ways to get the most out of your choice of essential oil to eliminate your feelings of fatigue. Direct inhalation either from the bottle or from a handkerchief whenever you feel the need is one of the easiest but by no means least effective ways to use your oil. Diffuse them: if you have a diffuser machine, you can diffuse your essential oils throughout the day. In the case of insomnia or apnea, diffusing your choice of oil throughout the night will be a great help. Alternatively try adding a few drops of lavender oil to your pillow before bed. Massage: When creating a massage rub, be sure to dilute your essential oil sufficiently in a good quality vegetable base oil like coconut, avocado or jojoba oil. It is important to both dilute the oils and to perform a patch test before applying the oils topically. Bathing: add between 5 and 10 drops of oil to your bathtub and take a relaxing and reinvigorating soak. Wait to fill the tub first to avoid having the oil evaporate off. Dilute your oils adequately before use. 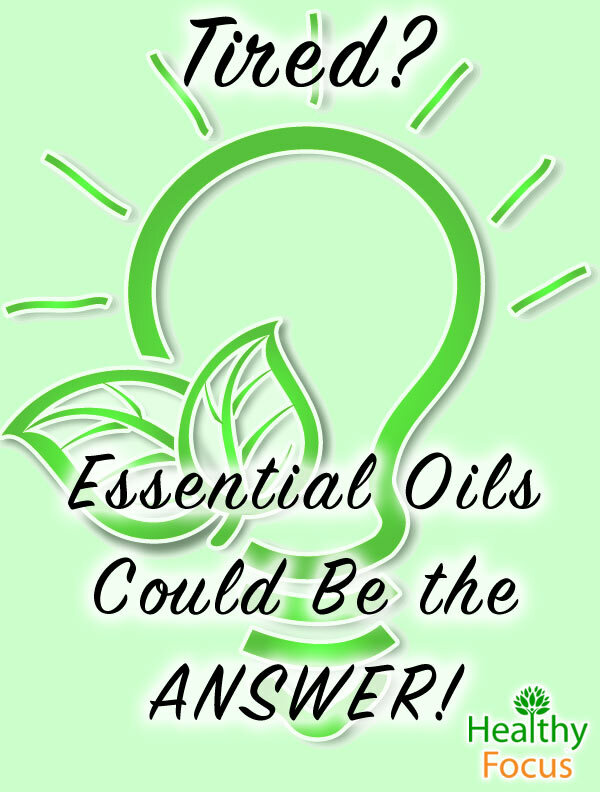 While essential oils may well be safe for pregnant and nursing women, there is not enough evidence to confirm this and caution must be exercised. Do not ingest your essential oils.